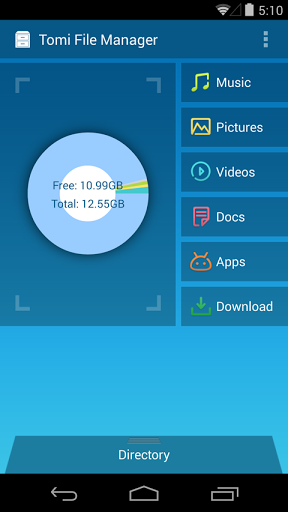 Tomi File Manager is a featured file manager application, intuitively groups music, pictures, videos, documents, downloads and applications into categories，and focuses on providing simple and fast management solution to YOUR OWN files on mobile devices. 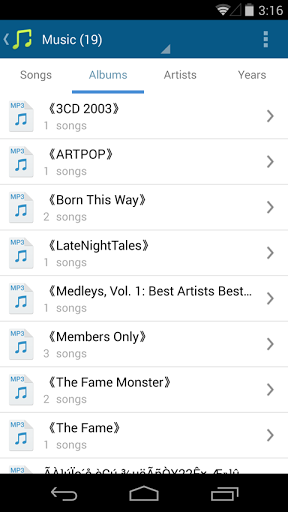 ☆ Organize Files Into Distinct Category: Intuitively group users’ own music, pictures, videos, documents, downloads and applications into categories, and create simple and fast way to file management. ☆ Fast & Intuitive: Simple to use, super-fast and smooth UI, plus high-efficiency user experience.